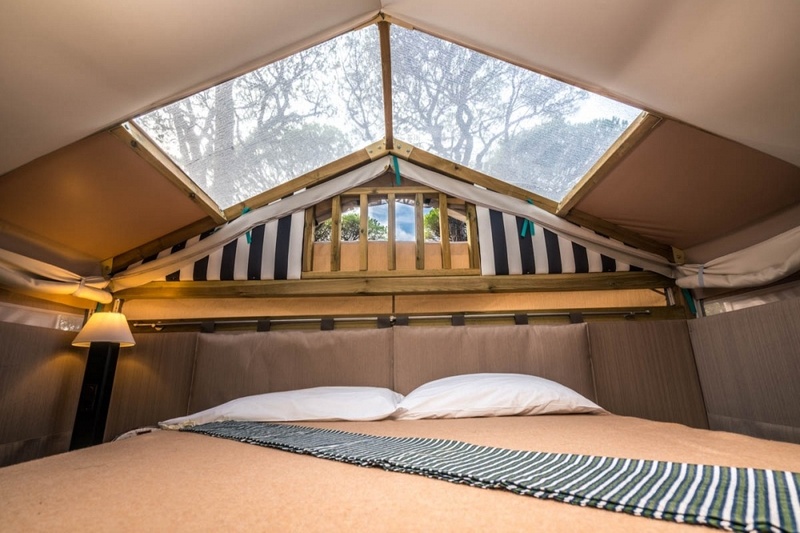 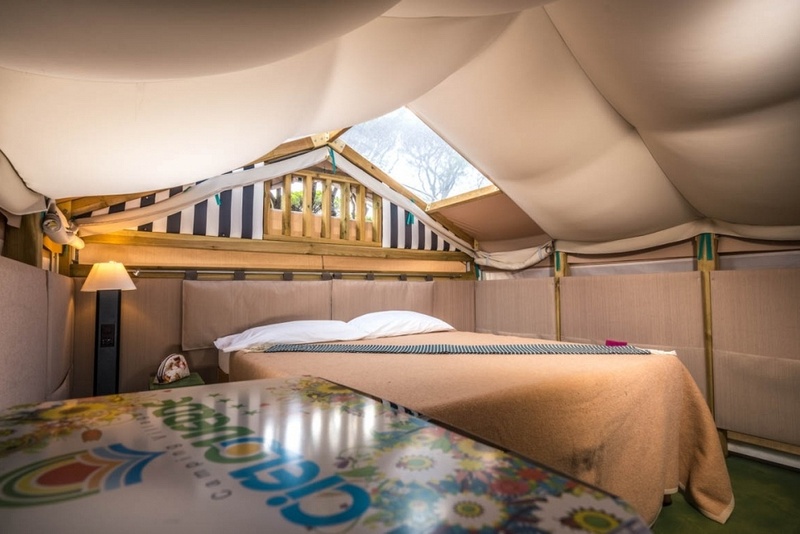 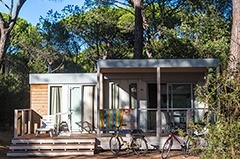 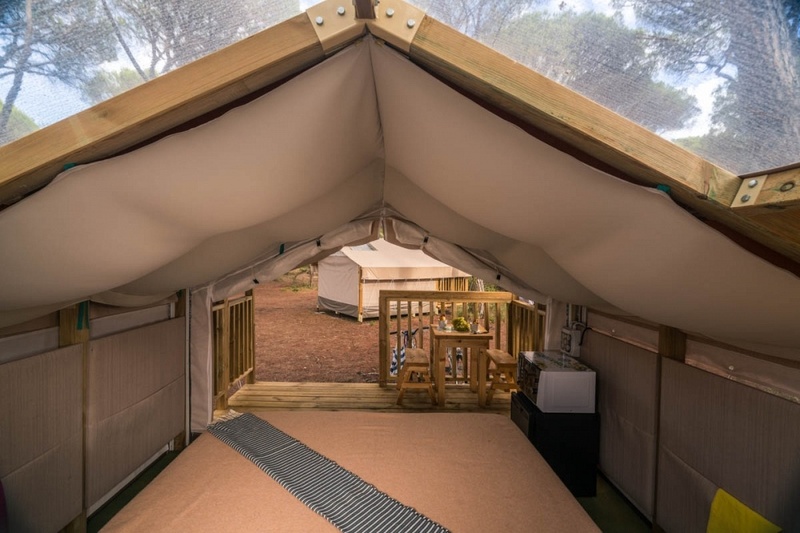 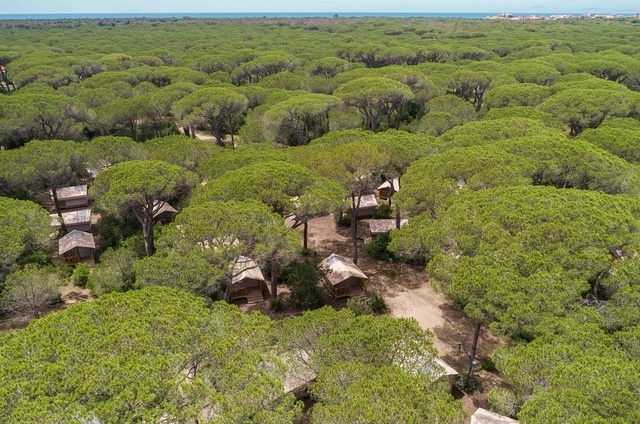 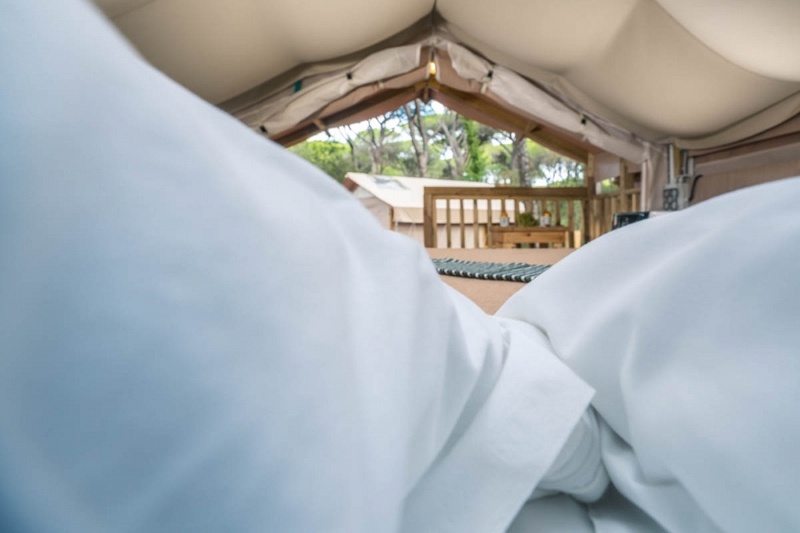 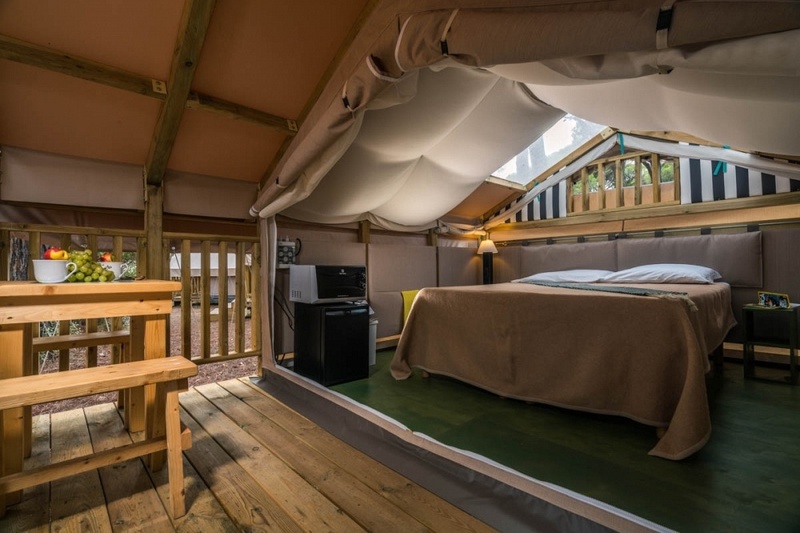 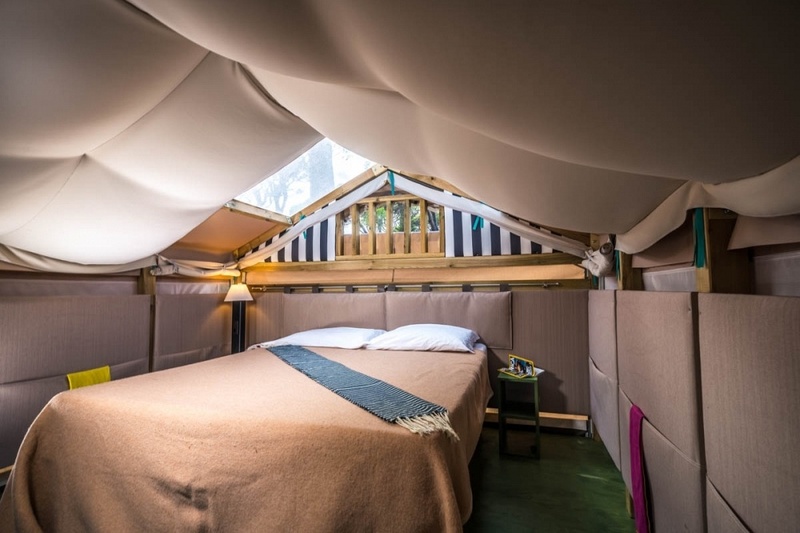 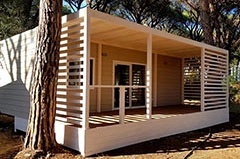 Cieloverde Tent has been created to give our guests the experience of a comfortable freedom holiday getting in touch with nature, in the peacefulness of the ancient pinewood, far from any noise. 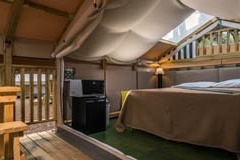 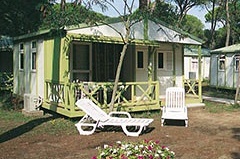 The tent, sqm 15, is spread over one open space floor and is composed exclusively of a cozy double bedroom ( equipped with bed linen) which offers a beautiful sky view, thanks to the porch directly in front of the bed and to the two ceiling windows which bring light and airiness to the Cieloverde Tent . 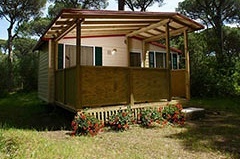 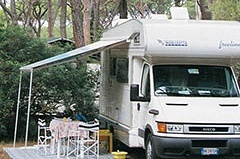 The furniture is simple and functional , with a mini-fridge, microwave and a warm courtesy light. 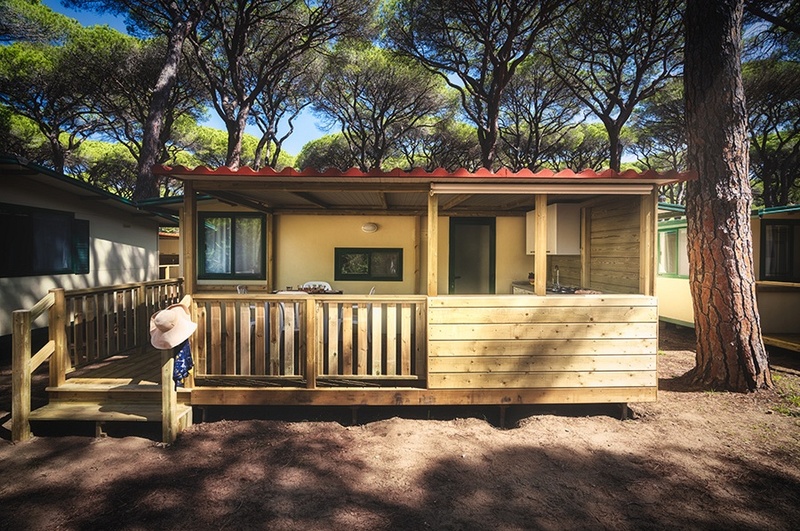 The soft and delicate earthy colours have been chosen to fit perfectly with the natural environment of Cieloverde Camping Village. 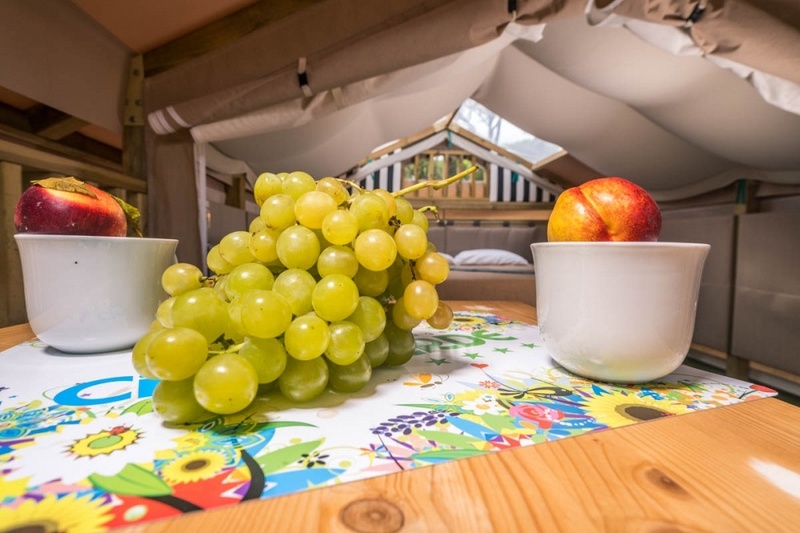 Tariffs include: VAT at 10%, access to shared services and facilities, electricity supply, , transport in shuttle train to beach, bags for refuse, entertainment and playground facilities, and first aid nurse. 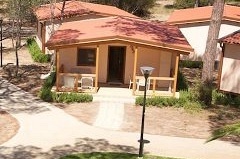 Covered parking for one car or motorcycle is free. 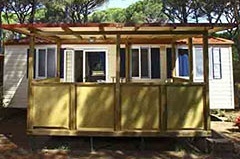 Free WI-FI in the area of the bar.